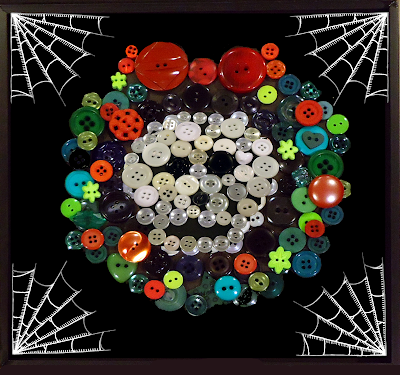 I love button art! I've been wanting to try it so here's what I did - I chose the eyes and nose and built the skull around them. I gathered all the green buttons I had for the wreath and red accent buttons for the bow and berries. The spider webs are one of my favorite SI stamps from the Candy is Dandy digi set. I added them in Photoshop. I'm loving it! Now, off to Lisa Hall for some more fabulous fun! So so so very creative! And wow a lot of buttons! 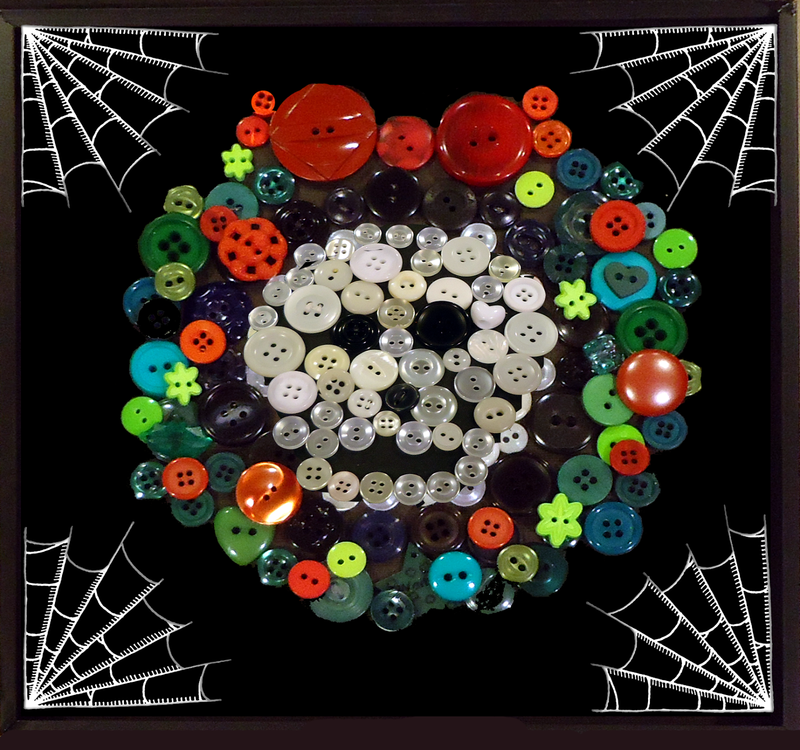 neat button wreath..the skull rocks! Amazing Candace...another unique creation. You are a one-of-a-kind lady...love it! OMG how clever are you?!? This is totally cool! 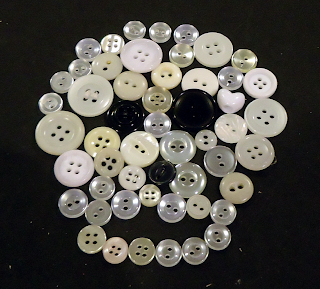 So cool, I'm lovin' your button skull!